Following meetings with our transportation planner and our First Student Route Manager, we have important changes to announce. Additional buses will be added to SHS/STEM Academy. SHS Assistant Principal Chip Hill will meet with individual students on Monday, September 8 and Tuesday, September 9 to inform them of their new bus assignments. Students will be starting with their new buses on Wednesday, September 10, 2014. Only students who received a green slip indicating a change are impacted. Forestdale will also have additional buses added. 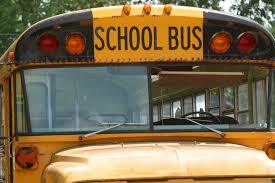 New bus routes will be posted in the News Section of the SPS website by noon on Tuesday September 9, 2014. The new routes will be implemented on Wednesday, September 10, 2014. A letter from Principal Marc J. Smith explaining the changes was sent home with students on Monday and can be found by clicking: BusRouteChanges2014 (1). Both Wing and Oak Ridge bus routes are being changed. New bus routes will be be posted in the News Section of the SPS website. The new routes for Wing and Oak Ridge will be implemented by Friday morning. An update will follow – families will hear from their building principals via Alert Now. A letter explaining the changes will be sent home with students from Principal Deb Landry – Wing and Principals Patrice Hurley and Trish Hill – Oak Ridge. The letter will also be made available on Sandwich Learns Together in a future posting. While the new routes are being launched, it is recommended that students are at their morning bus stops ten minutes early. We appreciate the patience of all families as we work to improve transportation to all our schools.